Food.je does not mark up menus or charge customers any service fees. 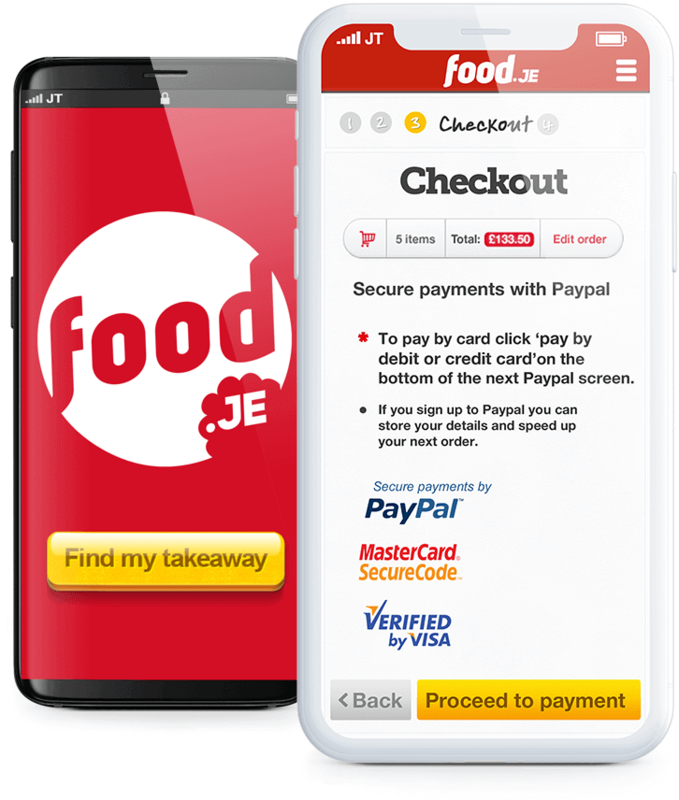 If you place an order on Food.je and then find a lower price on the same restaurant's current menu within 24 hours or less we will credit you the difference plus £2 for that order. 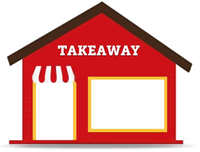 1 Choose a restaurant Choose a restaurantWe've got menus from over 60 Jersey delivery restaurants online. 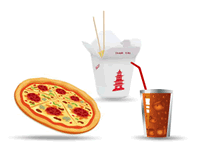 2 Place your order Place your orderChoose all the items you want from the menu and pay online by card, cash or PayPal. 3 Your food arrives! Your food arrives!That's it! The restaurant delivers your food or you collect it. 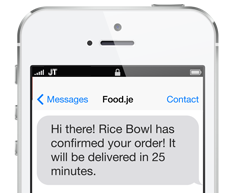 4 SMS Confirmation SMS ConfirmationYou receive an instant SMS and email letting you know how long your order will be. Register for FREE or checkout as a guest. Secure online payments by card or PayPal. 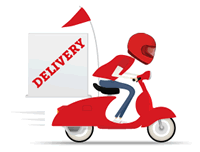 Save delivery details for a faster next checkout. Instant SMS confirmation when your order is accepted.